Last night on Facebook, as I was lamenting my general lack of direction, a friend suggested that I focus on one aspect of a cat per day, as the old masters used to. 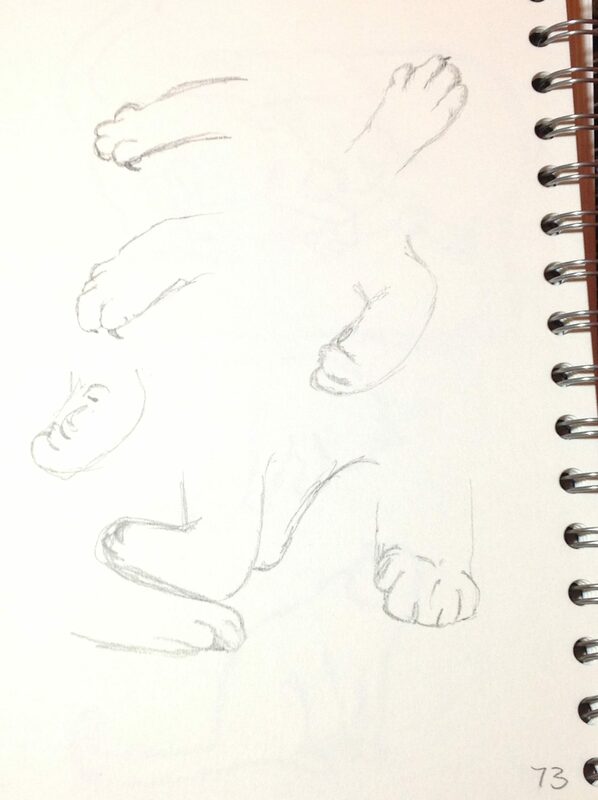 (I’m sure Michaelangelo and Turner both spent hours drawing cats’ paws.) So today is Forepaw Day! Obviously, that meant that both Grabbity and Mewton just wanted to sleep with their paws tucked away, and I had to do some extra cajoling to get them to show me a bit of ankle. (Or, I suppose, wrist, given it’s their front paws.) Anyway. Here you go. Some paws.